A list of main characters from Catherine: Full Body. Included on this page are their backround information and their voice actor/actress. 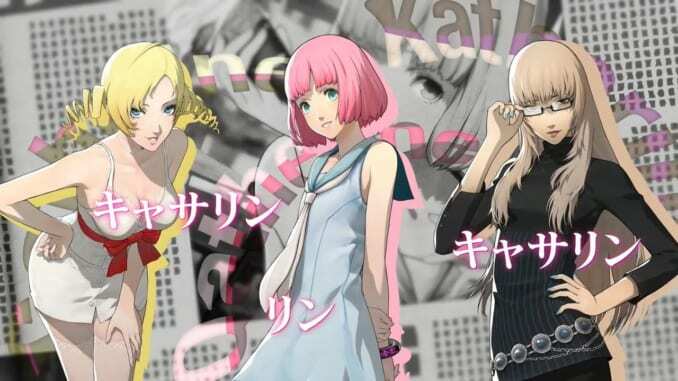 We list down the game characters appearing in Catherine: Full Body. Also included are their story backgrounds and voice actor or actress. Vincent “Vince” Brooks is a home-based computer programmer and coder for a technology company. He has a girlfriend of five years named Katherine McBride. However, he still falls into an affair with Catherine. A beautiful girl Vincent meets in the Stray Sheep Bar. Introduces herself as a video game developer but she’s actually a demonic succubus from the underworld. The newest character in Catherine: Full Body. She is Vincent’s new neighbor and currently suffers from amnesia. Vincent Brooks’ girlfriend of five years. She currently works as an office manager for a clothing company named Bantam Suits. Orlando is another childhood friend Vincent has had since high school. He’s Vince’s co-worker at their technology firm and shares a laid-back and carefree lifestyle similar to Vincent. Also, Vincent’s childhood friend whose birth name was Eric. Underwent gender reassignment surgery and became a waitress for the Stray Sheep Bar. Tobias “Toby” Nebbins is the newest friend of Vincent’s group. He’s Jonny’s co-worker and decided to tag along with him at the Stray Sheep Bar to make new friends. Also known as Thomas “Chop” Mutton and Dumuzid. He is both the owner and proprietor of the Stray Sheep Bar. Everyone at the bar refers to him as “Boss.” He is a gentleman and likes to help his customers get to know each other, even if they are total strangers.